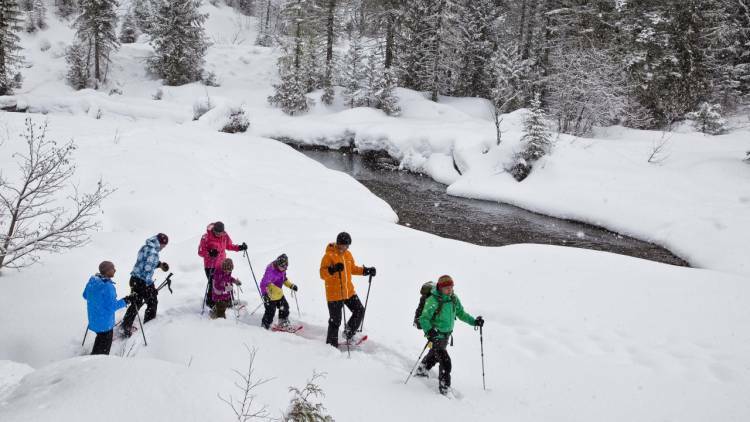 Discover the unique natural history of the East Kootenays by participating on one of our three WInter 2018 Wild Nature Snowshoe Safaris! Join naturalist Ayla Bennett and our experienced guides as they lead you in a fun and informative snowshoe journey through old growth forests to spectacular mountain vistas and beyond. 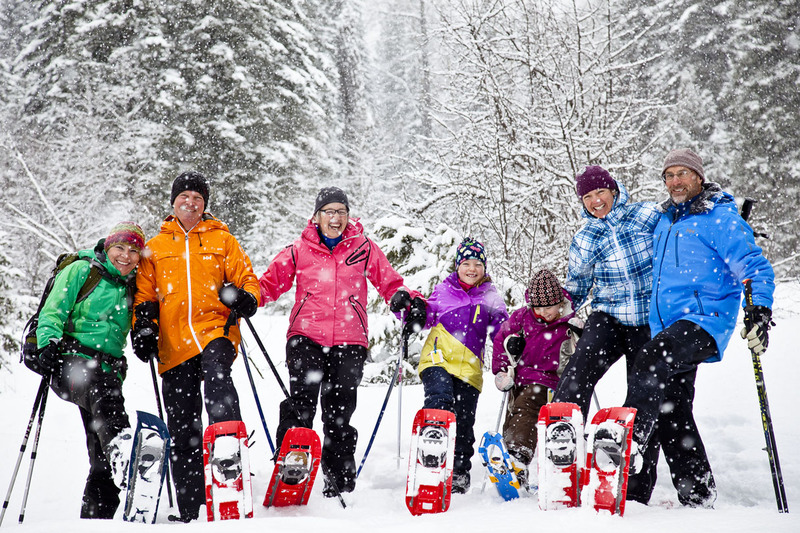 Wild Nature Tours Snowshoe Safaris are energizing outings appropriate for all skill levels and ages. But please keep in mind that outings are a minimum of two hours in length and may not be totally suitable for those under the age of 6 due to snowshoe sizing. 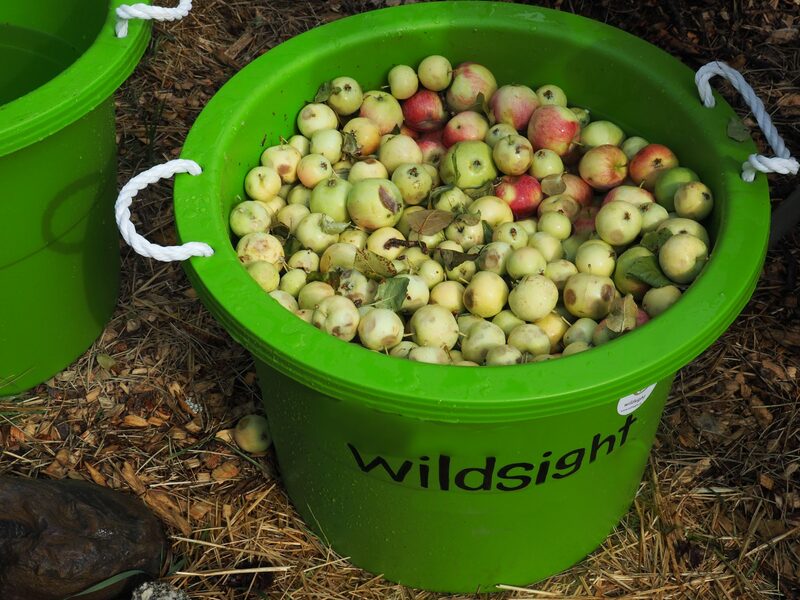 Please feel free to contact us via email (elkvalley@wildsight.ca) or phone (250)423-3322 if you have any questions. 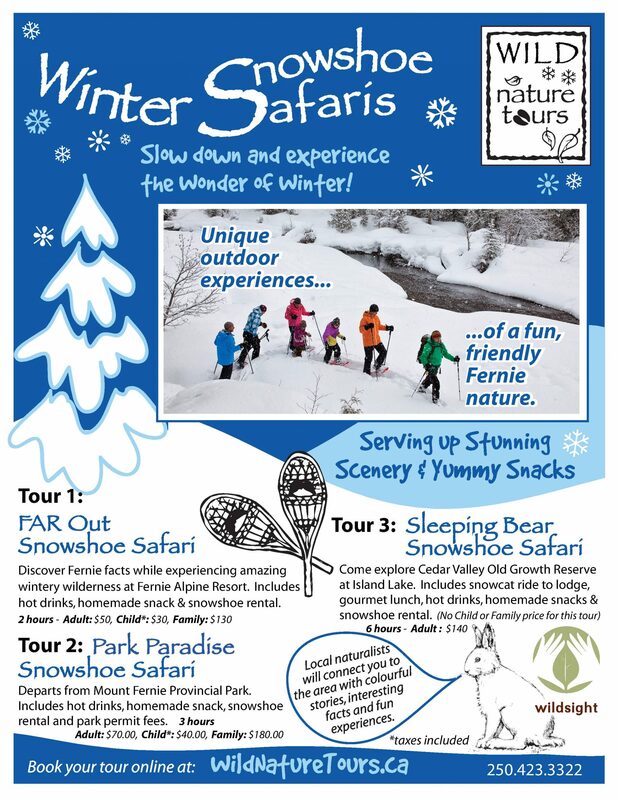 Wild Nature Tours is mixing it up this winter! 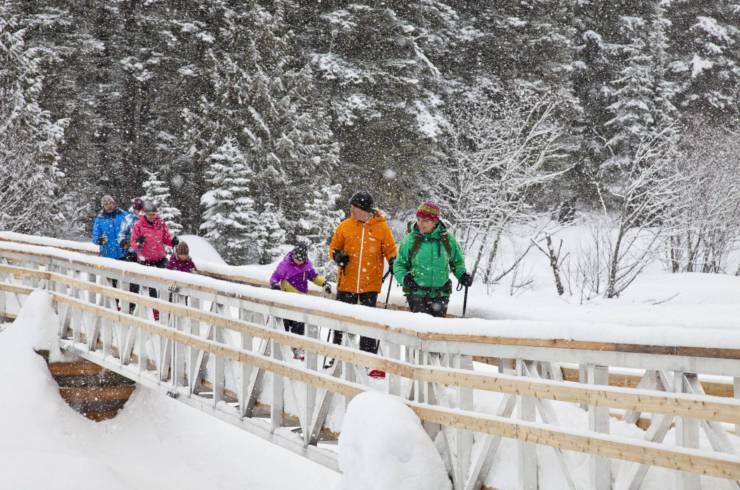 In addition to offered standard tours (when guide is available) there are TBA Special Snowshoe Events! Fancy travelling under the stars with the full moon? Looking for a special Valentine outing? Details on these activities and more coming soon! 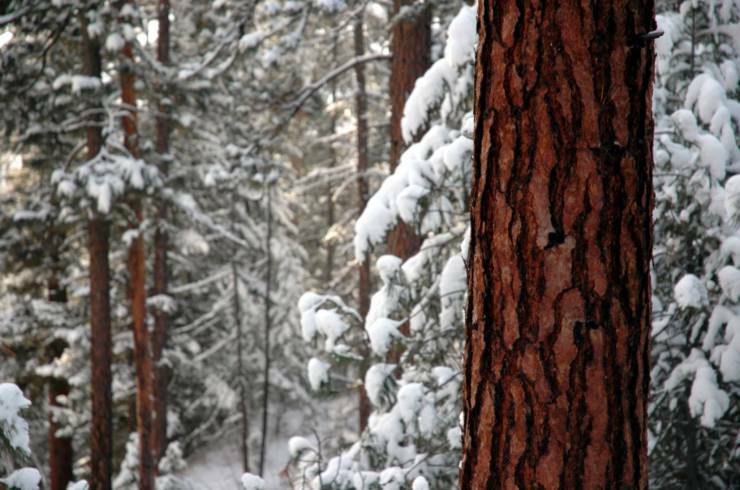 Discover Fernie facts while experiencing amazing wintery wilderness. 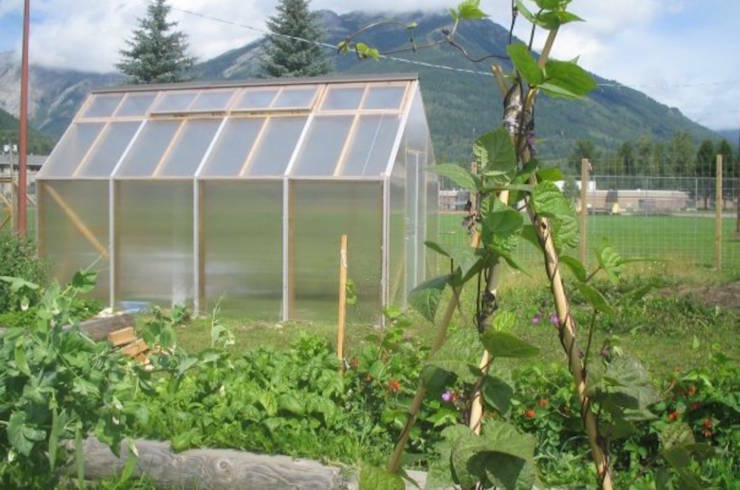 Departs from Fernie Alpine Resort and meanders through a lovely forest with gorgeous views and wildlife. Price includes hot drinks, homemade snack and snowshoes and poles. Meeting location: Fernie Alpine Resort Guest Services. Explore one of the snowiest places on earth. 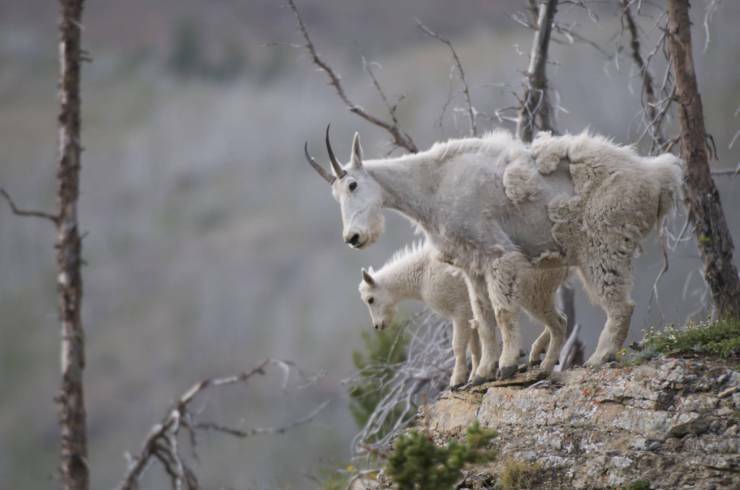 Discover the fascinating winter survival strategies of wildlife in the Rocky Mountains. Snowshoe across powder meadows glistening like diamonds. 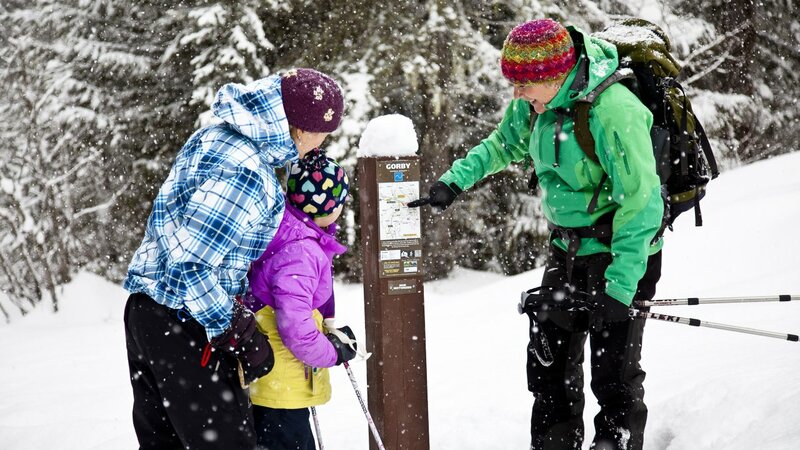 Enjoy a gentle snowshoe hike through the provincial park at the base of Mount Fernie. Learn about forest ecology and human uses of plants from a knowledgeable guide in a mature Interior Cedar Hemlock forest. Stop for a hot drink and homemade baking along a sparkling mountain creek before returning with rosy cheeks, fond memories and a new appreciation of winter ecology. To book a tour please get in touch. All family tour rates are for immediate family only and rates for children are up to age 17.